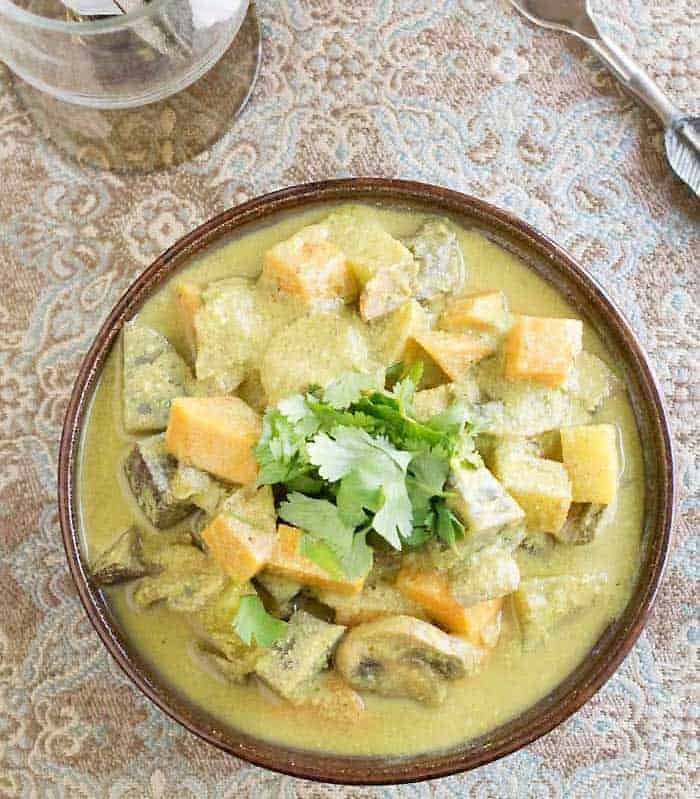 I have a vegan menu plan for your week and it’s full of Healthy Instant Pot Recipes. 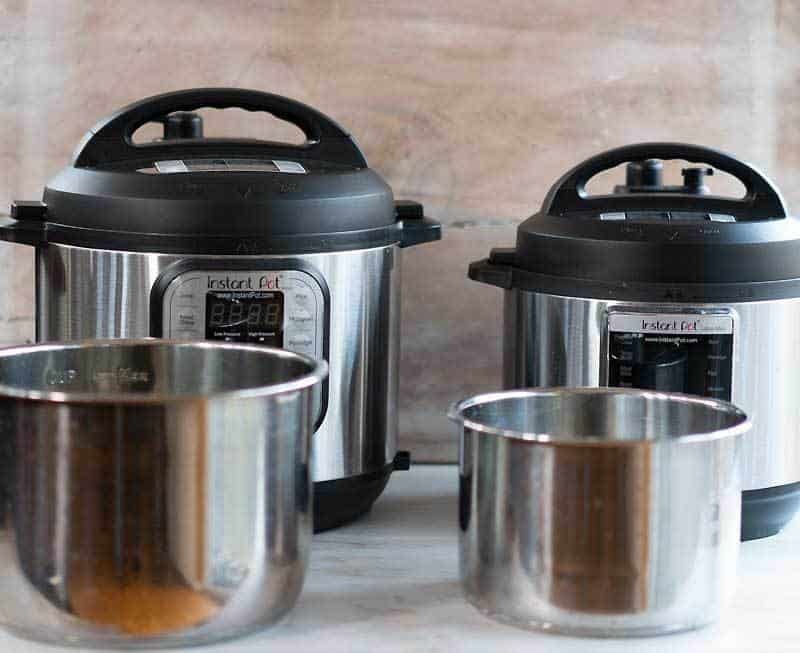 These are all simple to make if you’re an Instant Pot Newbie or have been cooking in your electric pressure cooker for years. 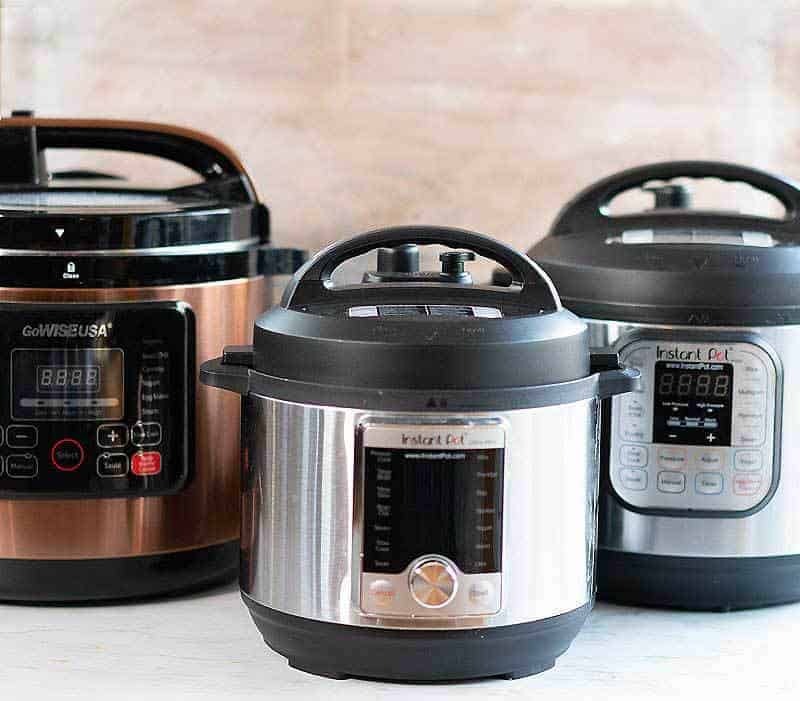 Are the Weeknight Instant Pot Recipes Quick and Easy? Why yes they are! 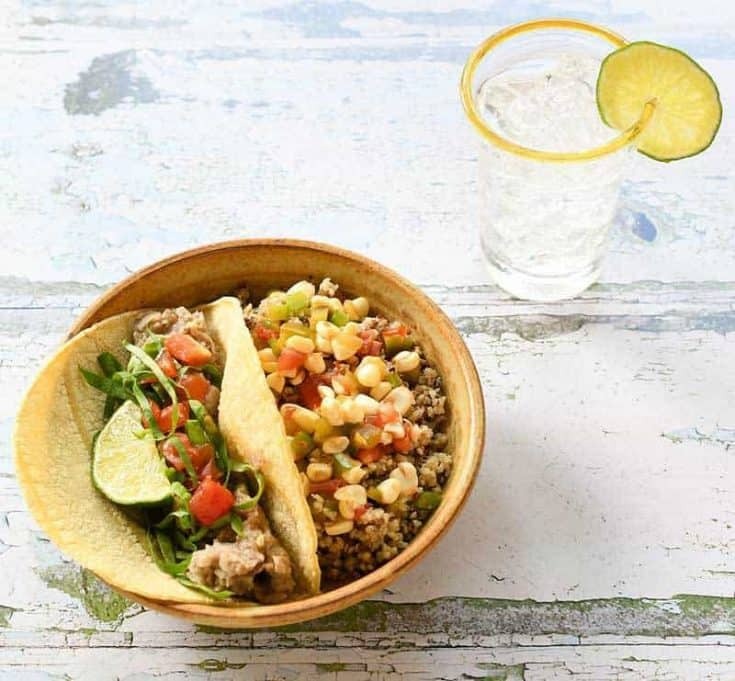 Go in the order they are in below or at least use the first 5 recipes to make your weeknight dinners. 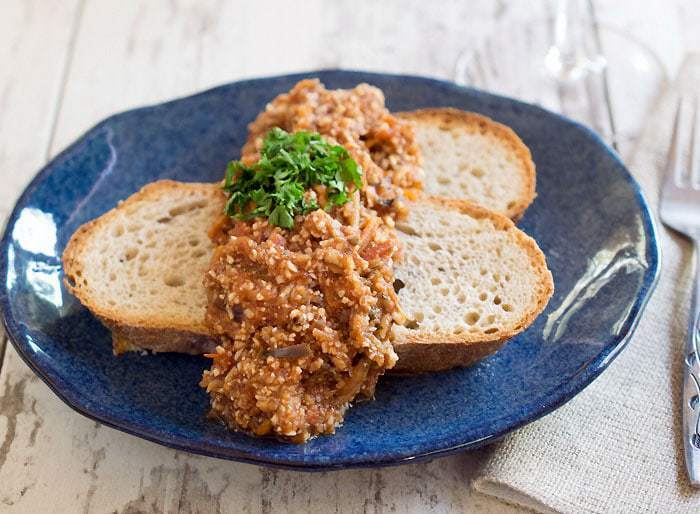 Choose from oil-free recipes like tomato soup, mushroom and veggie curry, refried beans, Vegetable Bolognese, and Jackfruit White Bean Chili. 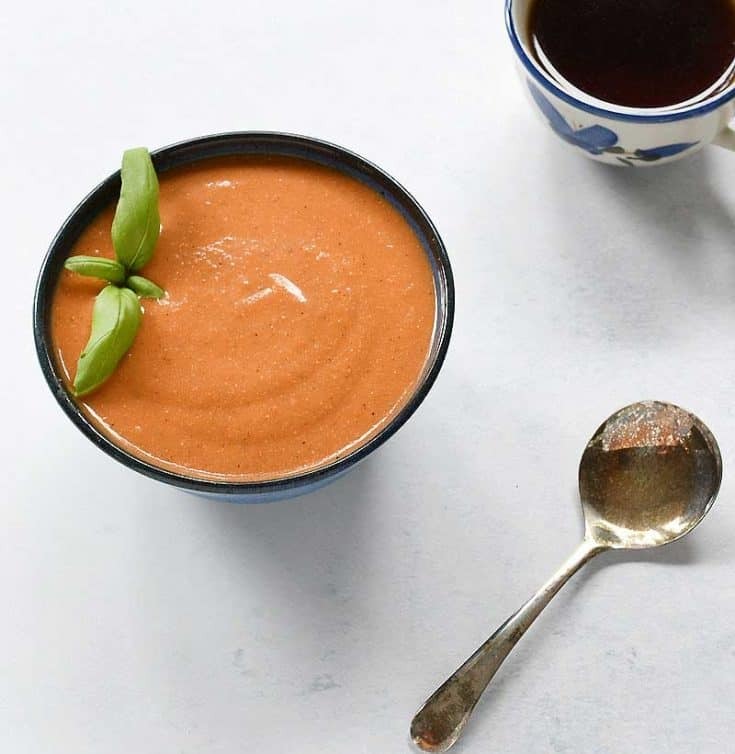 I bet you even have what you need to make the tomato soup or the chili in your pantry right now. 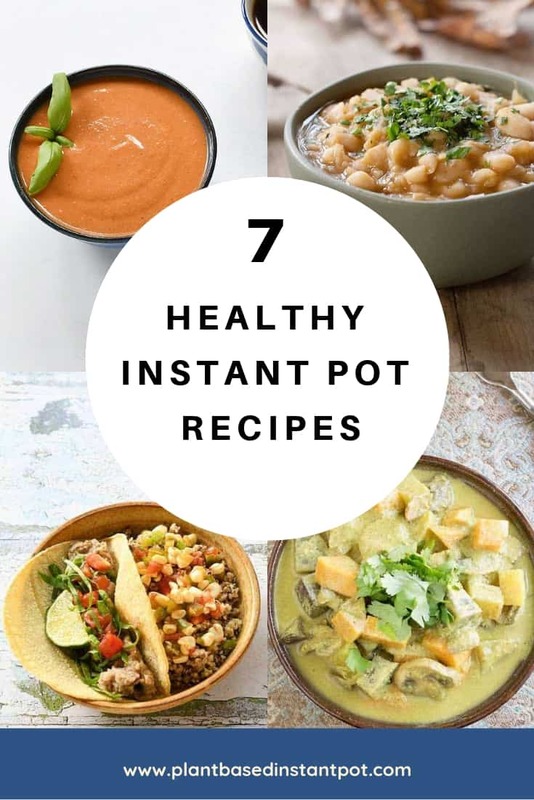 What About the Weekend Instant Pot Meals? It’s chilly and we’re probably going to spend a lot of the day indoors this weekend. So I added in fun to make recipes that your family can help you with. 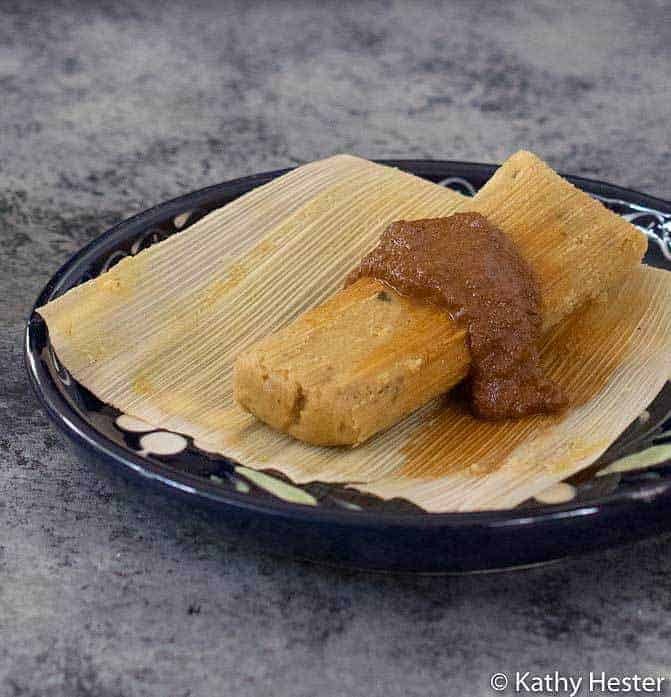 The tamales will go fast after you make the first few. I suggest making a double recipe. Put half in the freezer for another night that you don’t feel like cooking. 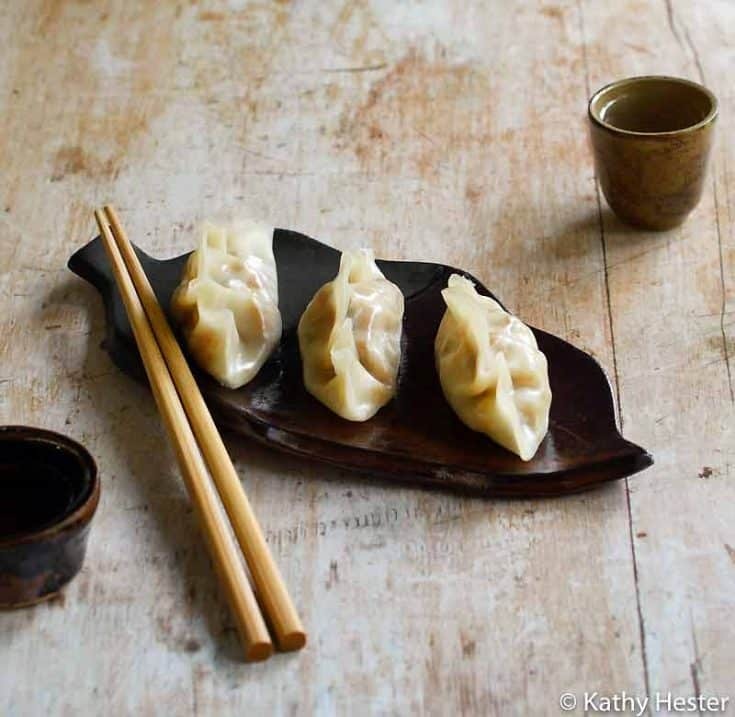 I’d do the same with the Instant Pot dumplings, only maybe triple the recipe. You can either half-cook the ones you want to freeze or freeze them uncooked on a baking sheet lined with parchment paper. Once frozen place all the dumplings in a resealable bag. 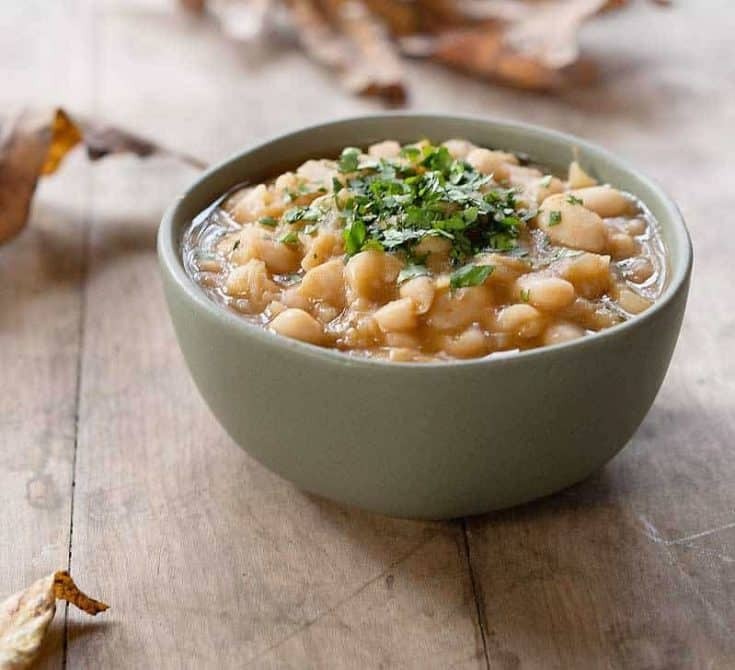 A Healthy Instant Pot menu plan that's perfect for winter week! 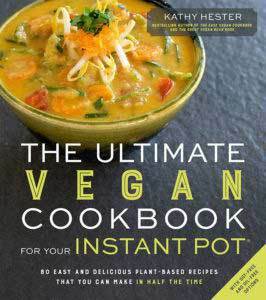 Instant Pot Vegan Tomato Soup with a Surprise Ingredient!